This swing hammock cover is specially shaped cover to fit modern style hammocks with a zip on either side at the front so it can be used as a wind protector. 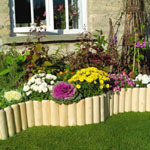 These garden covers are made with non-rot thread from woven coated polyethylene. This outdoor cover is UV stabilized for longer life. This waterproof garden furniture cover has eyelets all round and comes with strings for fastening. This bistro set cover keeps your outside furniture clean and dry. This garden patio cover is made with non-rot thread from woven coated Polyethylene. These garden table covers are UV stabilized for longer life. These patio furniture covers have eyelets all round and comes with strings for fastening. This café set cover keeps your outside furniture clean and dry. These garden furniture covers are made with non-rot thread from woven coated Polyethylene. This outdoor cover is UV stabilized for longer life. 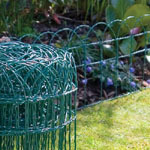 These garden covers have eyelets all round and comes with strings for fastening. This circular patio set cover keeps your outside furniture clean and dry. These patio furniture covers are made with non-rot thread from woven coated Polyethylene. These covers for garden furniture are UV stabilized for longer life. 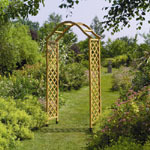 These garden covers have eyelets all round and comes with strings for fastening. This circular patio set cover keeps your outside furniture clean and dry. These patio furniture covers are made with non-rot thread from woven coated Polyethylene. These covers for garden furniture are UV stabilized for longer life. These outdoor covers have eyelets all round and comes with strings for fastening. This 4 seater rectangular patio set cover keeps your outside furniture clean and dry. These patio furniture covers are made with non-rot thread from woven coated Polyethylene. These covers for garden furniture are UV stabilized for longer life. These outdoor covers have eyelets all round and comes with strings for fastening. This 6 seater rectangular patio set cover keeps your outside furniture clean and dry. These patio furniture covers are made with non-rot thread from woven coated Polyethylene. These covers for garden furniture are UV stabilized for longer life. These outdoor covers have eyelets all round and comes with strings for fastening. This 8 seater rectangular patio set cover keeps your outside furniture clean and dry. These patio furniture covers are made with non-rot thread from woven coated Polyethylene. These covers for garden furniture are UV stabilized for longer life. These outdoor covers have eyelets all round and comes with strings for fastening.